Typically I’m the kind of guy that thinks if a novel is worth reading I’ll wait till it comes out in theaters, why spend days readying one book that you could just watch in 2 hours with the added aides of audio and visual? I’m proud to admit that this novel proved the value of spending time reading, and with a cover price of just $12.95 it’s less than the cost of one movie ticket. I have a passion for two-wheelers in any form, and the Isle of Man’s world-renowned race has always intrigued and fascinated me – so for me this novel is packed with all the right stuff. 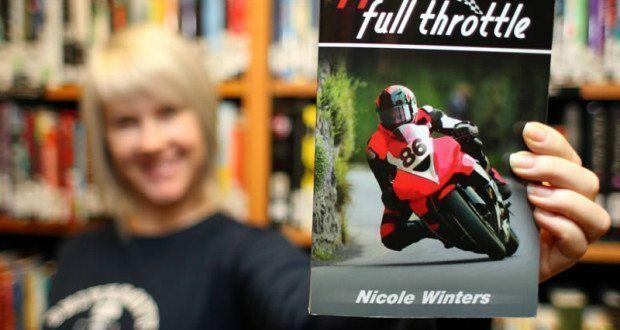 Author Nicole Winters traveled to the Isle of Man to research and write this book and its made clear by her exact descriptions and the way she describes the emotions of the island in a way that takes you there right alongside the rides. Winters sets the stage when introducing Scott, his best friend Neil, and a pretty lady named Mags who has an unparalleled ability for spinning a wrench. Add to the mix Scott’s good-for-nothing tenant Dean who can barely keep his job at the cannery. The unlikely group of British Columbia natives find themselves in it for different reasons, but as the group travels further from home they get closer to one another. The diversity in characters keeps the novel evolving, and the impending Isle of Man TT invite gives the crew a chance to test each other’s true grit in the international spotlight against the ever-present danger of the spectacle as Scott pushes himself further than ever before in pursuit of his dreams. Without the time, money or ability to compete at the Isle of Man, I often found myself with book in-hand living vicariously through Scott. The novel consumed all my free time as the pages turn quickly thanks to Winters’ engaging writing style. If you have a passion for motorsports I challenge you to give his paperback a go, and you too will be chomping at the bit waiting for Nicole Winter’s next release. 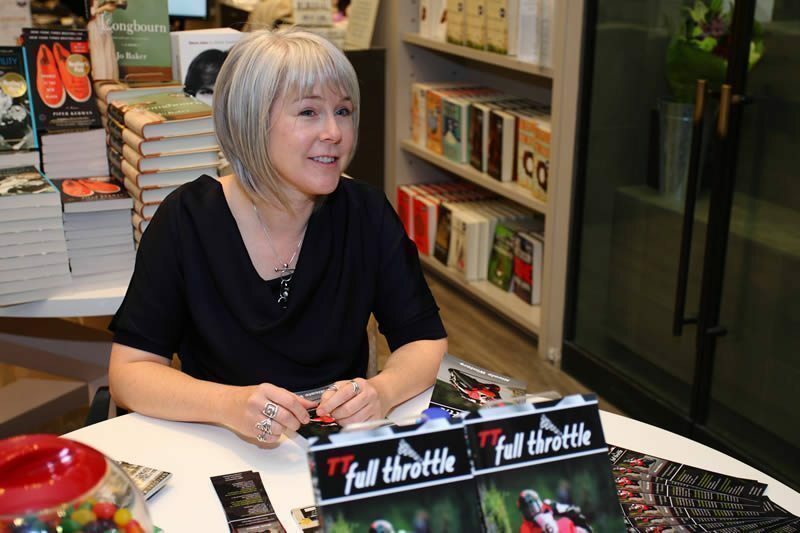 Reading TT Full Throttle is a great way to pass the time as you wait for the snow banks to diminish or carry it with you in your tank bag and turn the pages over a cup of java after a long days ride this summer. Nicole Winters was one of our Women of the Month in 2013. You can read our Q&A with her here. The expression is actually “CHAMPING at the bit”, but I’ll let you go this time, based on your primo subject matter!